Last edited by staticshadows on July 8th, 2017, 12:40 pm, edited 1 time in total. New question, is this Eagle model still around? If so, where is it or where was it last seen? Also, what are these books from? Random Question: Did Whirligig use Z-Force/Iron Wolf/Goliath's queue when it was in County Fair? No, it was set up like most of the other flats around the park. The extra queue and station were built for Z Force. Kind of a random question but I'm curious, how did Batman's Single-rider line work? From pictures, it seems it directed you to the Flash Pass Queue, so did the attendant pair you up with a group of 3 and send you through the regular queue, or something else? It was wristband and then they had a grouper in the station. Similar to Bull. It was way too crowded in that station though. What are the discount days and free days for season pass holders this year? Was thinking of the season passes and remembered something I witnessed in the park 2 years ago. I was at pass activation to add my dining pass to my season pass and there was a women in there that had difficulty with activating her season pass. Eventually, they came back and said the problem was that she bought the season pass for SFA not SFGAm. I left after that, but always wondered how that ended. Any ideas? They probably just switched it over to a Great America one. 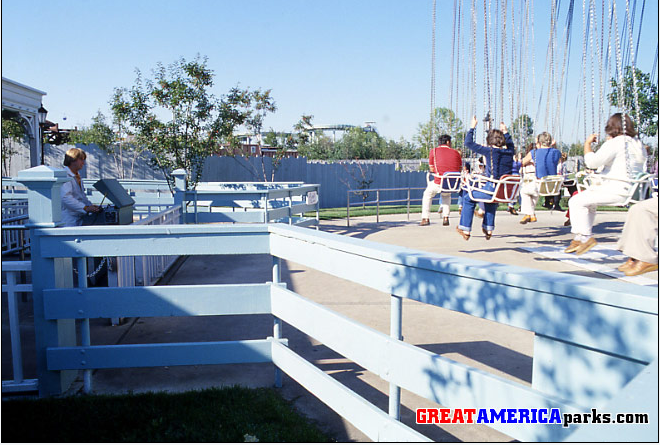 They may have charged them an additional fee to match the Great America price. I'm guessing that happens more than you would think. Anyone know if goggles are allowed on the body slides in Hurricane Harbor? Dan The Coaster Man wrote: Was thinking of the season passes and remembered something I witnessed in the park 2 years ago. So this kinda happened to my sister when she was in college in California. She bought a SFGAm pass because she lived in Illinois in the summer and would be going to SFGAm a lot. But when she went to SFMM to activate her pass before the deadline, they told her she had to pay extra because the SFGAm pass was less than the SFMM price. Really crappy as she wasn't trying to frequent SFMM and they wouldn't let her activate her pass for SFGAm unless she paid another $70 or so dollars. Does anybody know if Viper is still running backwards ? How packed is the park going to be on Monday? Does anyone know what happens if I purchase the season pass now during the sale but do not activate it until next year? I do not think I can get to the park this year. Thank you. I think you just won’t get the gold upgrade or 2017 portion of the benefits. Question: Going to be a first time dining pass holder and was wondering if they still let you upgrade from items like say regular funnel cake to funnel cake sundae for a small additional fee? Does everyone have to stand in line to get their food or snack or can one do it for the group? Also does anyone know how much the all season drink bottle is going to be for 2018, and is there going to be a coupon for it loaded onto the 2018 pass? Yes, you can upgrade food items. I think its around $3.00 to upgrade to a funnel cake sundae. If everyone in your group has a dining pass everything can be on the same order, however each of their passes must be scanned.